Wrist Pain in Gymnastics: How Does This Injury Occur? Join the 2016 CBPT Brea 8K Team! 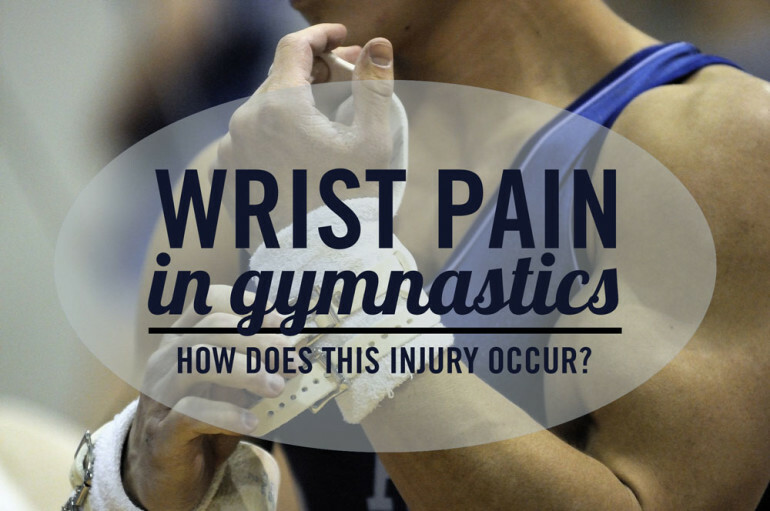 Wrist pain is a very common issue in gymnastics due to the nature of the sport. With the high frequency and force production that a gymnast experiences can place excessive stress on the wrist joint during weight bearing skills, which include by are not limited to handstands, tumbling, vaulting and single hand transitions on the uneven bars. Some research suggests that forces up to 2.5 times an athlete’s body weight can be loaded through the wrist during some gymnastics skills, and up to 5x during heavy tumbling and vaulting. These numbers are most likely to dramatically increase if a gymnast performs “short” tumbling with shallow joint angles or during uneven weight bearing that may occur during skills. As gymnasts, many athletes simply know how to “push through the pain” not fully understanding the consequences that may develop further down the road. 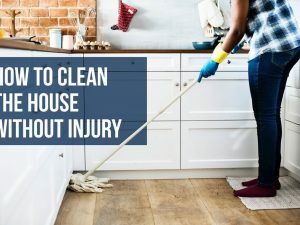 If the issue is left unaddressed, the overuse stress forces may progress into a variety of problems like tendonitis, bone bruising, ligament damage, growth plate irritation, scar tissue build up, and possible stress fractures. A huge contributor to wrist pain is the functional ability of the structures and joints above the wrist. These include the elbow, shoulder, scapulae (shoulder blade) and thoracic spine (upper to mid back region), as well as the adjacent muscles surrounding these areas. Problems can arise if there is a lack of mobility and poor arm alignment, static stability (e.g. handstand) or dynamic stability (e.g. handsprings and other movement skills). 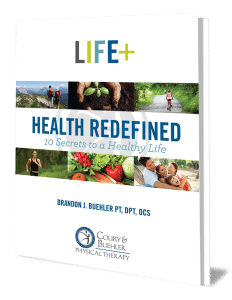 When the alignment of the entire chain is not functioning properly, the small stabilizing muscles are not able to do their job causing unnecessary compression stress and instability within subsequent joints. 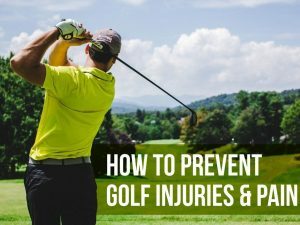 Muscle tightness and restricted mobility within the arm, shoulder and spine can additionally be considered as a possible cause to wrist pain. The chain of muscles in front of the arm connects to muscles in the chest and the back such as the pecs, lats, biceps and forearm flexors – all contributing to wrist range of motion. These structures are linked through a fascial layer that can create tightness throughout the whole assembly. In the majority of cases, there are two limiting factors to the ability to move into excessive wrist extension: tightness in (1) forearm flexors muscles – front part of the arm; and (2) latissimus dorsi muscles – back muscles. Another contributing factor to the development of wrist pain in a gymnast is their available range of motion in the wrist – how far the wrist can move into extension (bend backwards) comfortably. In normal motion, the wrist joint usually permits about 70 degrees of extension for everyday use. Gymnast often develop hyper mobility in the wrist joint, attaining about 80 degrees of motion comfortably. However, when the athlete is in a handstand or performing a skill, the force goes far beyond the 80 degrees, often up to 90 -95+ degrees. 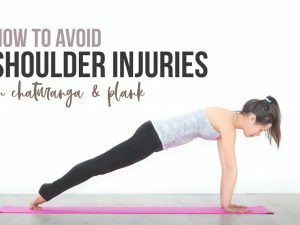 If the gymnast lacks the ability to move their wrist joint into hyperextension, the joint will push past its limitations leading to pain symptoms. A common use of protection against wrist pain is wearing wrist guards to limit the hyperextension motion during gymnastics-specific weight bearing skills. 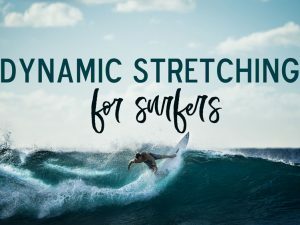 More often than not, an athlete who has discomfort in their wrist will most likely have poor joint mobility and flexibility throughout their upper body. Wrist guards are used for wrist joint protection against the high weight bearing forces, however they do not make a gymnast more flexible elsewhere. They may be worn to limit pain symptoms, but the gymnast needs to address the leading causing and/or combination of causes to their wrist pain. Becoming dependent on wrist guards all the time tends to limit the strength development in the wrist flexor and extensor muscles – affecting joint stability and grip strength. 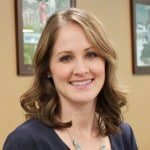 Jamie continues to have a passion for staying active by challenging her body through workout plans, CrossFit training, and Pilates classes. She thoroughly enjoys going to the beach, hiking, traveling, and spending time with family and friends. In her spare time, you can find her obsessing over the latest, most colorful pair of Nike running/athletic shoes.